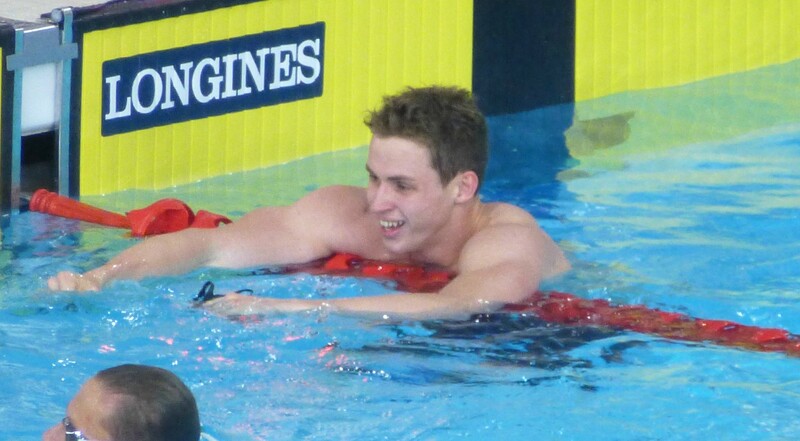 PLYMOUTH Leander’s Ben Proud added a second medal at the World Aquatic Championships in Budapest on Saturday evening. Five days after becoming world 50m butterfly champion, the 22-year-old former Plymouth College and Marjons student claimed bronze in the 50m freestyle final. Proud swam an impressive 21.43 seconds – just 0.11 off his lifetime best – to finish behind America’s Caeleb Dressel and Brazil’s Bruno Fratus. Dressel took gold in an American record time of 21.15 seconds and Fratus touched in 21.27. Proud, who had finished fourth at last year’s Olympics in the one-length freestyle event, managed to hold off the challenge of Russian Vladimir Morozov (21.46) and Poland’s Pawel Juraszek (21.47). The Great Britain swimmer, who is currently training in Turkey with James Gibson following Jon Rudd’s move to Ireland, admitted he took as much satisfaction about winning bronze in the freestyle as he did winning gold in the butterfly. “To come away with a bronze in an Olympic event (50m freestyle), is probably more pleasing than the other day,” said Proud. He added: “That was a fast race. I was just happy to get my hand on the wall third because between me and fifth was almost nothing. Meanwhile, Plymouth Diving’s Iris Schmidbauer finished 10th in the women’s high diving competition with 218.20. Schmidbauer, competing for Germany, dived consistently well and better than many of her rivals, but she just did not have the degree of difficulty to finish higher up the field.